As stated in my last post, I was given a 5 mg dosage of Femara (letrozole). The increased dosage of Femara produced three follicles – two that were 14 mm and another that was 25 mm; the latter was mature. Prior to going to the RE I used the ClearBlue Digital Ovulation Prediction Kit (OPK) on CD10, which showed I wasn’t ovulating, and my blood work done at the the RE’s office on CD 11 proved the same. However, later that day I re-tested against my RE’s orders and the OPK returned positive. I called the RE’s office to notify them, and I had to return the next day for more blood work, which was negative; the ClearBlue Digital OPK gave me a false positive. I tested on CD12, which again was negative, and then finally on CD 13 -14 I had positive OPK’s. On CD14, which was the third of doctor’s appointments for the week (that’s what I get for not listening), I had yet another sonogram and more blood work. The sonogram showed I haven’t yet ovulated. I sat down with my RE and her words, after asking me how I was doing, of course, were “How old is your little one? I replied and told her she’d soon be three, and then she asked “What are your thoughts on twins?” I went on to tell her that twins are common in my family, and if that’s the card I’m dealt then that’s what I have to deal with. After our conversation, she informed me I’d have an HCG trigger shot, which, even though I do ovulate on my own, would make me ovulate within 36 hours, allowing me to better time BD. The RE’s instructions were to have fun over the weekend. Umm did she not know it was super bowl weekend?!? Add that and add a toddler… It gets tricky! HCG Trigger Shot. That was the mixing needle. 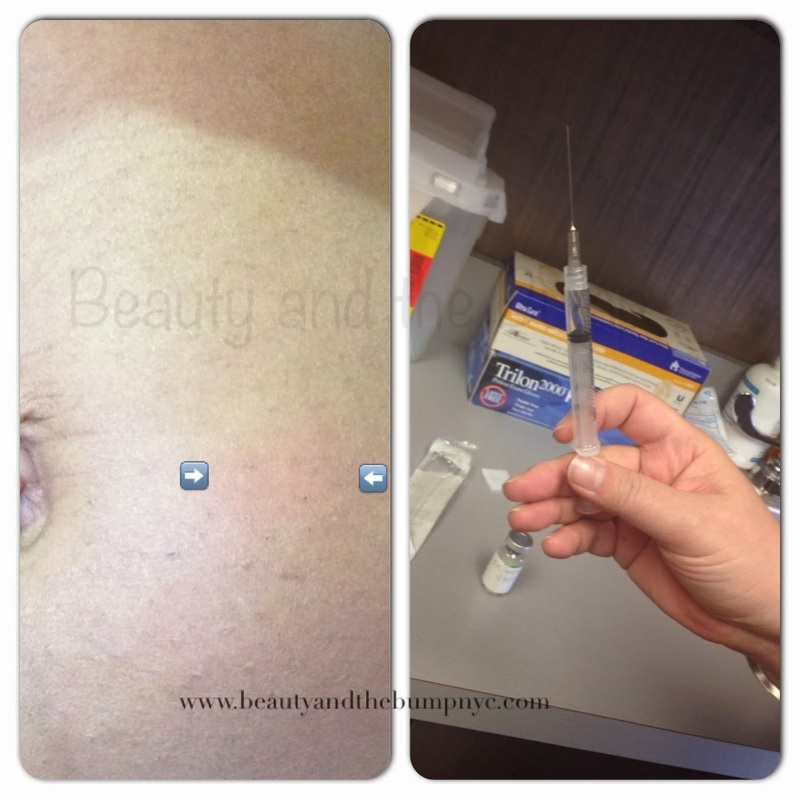 The HCG trigger shot wasn’t too painful; however, as the day wore on my lower abdomen was sore, and it kind of hurt to bend down. The area where I received the injection was red and sore for at least two days. And even though I experience ovulation pains, I had intense O pains this time around. The nurse that gave me the shot warned me, but, I didn’t believe her. Silly me! Now, we just wait to see if it all worked.